That’s what my editor had said upon receipt of the manuscript of The Red Hand, whilst banging his head repeatedly on the desk. So, I did the cutting thing – to the book, that is, not him. The end result has now been striding about the world since January, and, I’m happy to say, nabbing four and five star reviews. But then there were the leftovers. Too good to waste. So, to mark the anniversary of Good King John’s darkest hour I cooked them up into a tasty ebook, which you can have right now, free. God bless King John, and the Devil take the Lionheart! 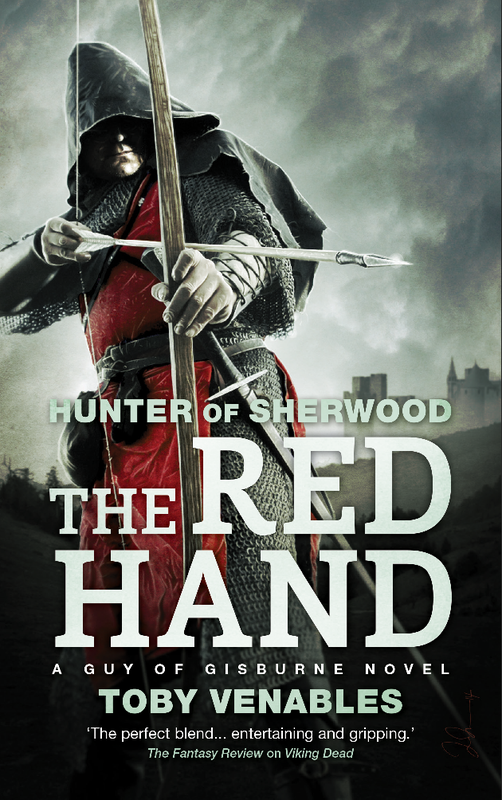 This entry was posted in Blog, Uncategorized and tagged Abaddon, Eleanor of Aquitaine, ghosts, Guy of Gisburne, historical fiction, Hunter of Sherwood, King John, Magna Carta, Prince John, Red Hand, Richard the Lionheart, The Red Hand, Toby Venables, zombie by Toby Venables. Bookmark the permalink.